Whether it is new or old, you should protect your bike with a rust-resistant bike cover. Worrying about rust and corrosion on your bike is something you should not have on your shoulders, and Zerust will throw stress out the door. Commuter bikes and high-end racing cycles alike are both easily susceptible to damaging rust and corrosion. Many businesses and individual bike owners use the Zerust bike cover to protect gears, brakes, shifters and other metal components on their bikes. Any single-rider bike will fit within one of these rust-inhibiting enclosures, remaining protected for extended periods of time. 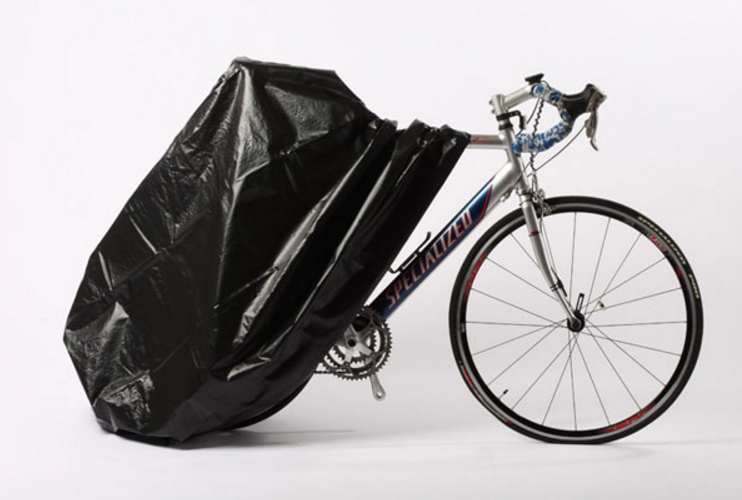 The Zerust bike cover has many protective attributes. First and foremost, the cover is completely corrosion proof. It utilizes Zerust’s rust-inhibiting technology to keep your bike in its best condition. The bike cover is also water resistant and mold proof, so you and your bike have nothing to worry about. This bike cover is also incredibly easy to use. You only have to clean and dry your bicycle according to the suggestions provided in the owner’s manual. Then, with the Zerust logo facing inward, you can put the bag over your bicycle and simply zip it up. Now you have a bike cover with rust and corrosion inhibitors that will provide maximum protection for five years once purchased. How Does the Zerust Technology Work? These products all produce a colorless, odorless vapor, coating your belongings in a rust-inhibiting shield. The molecules in the vapor will cling to surface of your bike or any other metal possessions, forming a protective layer that’s only a few molecules thick. Once the vapor has done its job, it eliminates all of the reactions that cause harmful rust and corrosion. Furthermore, Zerust does not cause any negative after effects. Your possession’s functionality will stay the same while Zerust goes to work. Zerust will enhance reliability and prevent corrosion at an invisible level to the naked eye. These products have also been implemented by many companies to protect metal from rust and corrosion. This includes vehicle manufacturers, computer electronics suppliers and even the military. Zerust is highly trusted product with loyal customers. In addition, Zerust is an environmentally friendly product. The FDA has even cleared all Zerust products for safe use with kitchenware. If you want to ensure that your bike or other metal possessions stay in pristine condition, consider using Zerust products. Even if you need to protect tools, jewelry, vehicles or any other possible metal possession, Zerust will surpass expectations and keep all your items completely protected. Rust and corrosion do not stand a chance against Zerust technology.